Towing and unloading…towing and unloading. The actually boating part of the trip is what you want to spend most of your time doing. Instead, you lug your boat to the lake, back it down the ramp, dock it, get back into your truck, drive it to the parking lot with the trailer, then go back to your boat and finally started enjoying your day. Wouldn’t it be nice if you could get rid of some of these steps and begin your boating excursions much faster? There is a way: utilize boat trailer storage, and leave your trailer close, but out of your way. 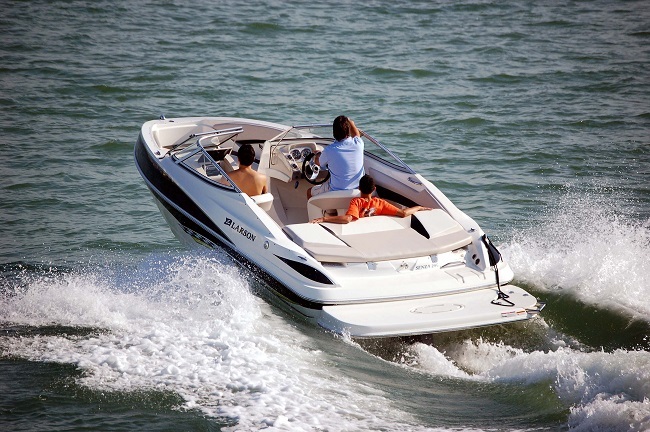 There is no doubt that storing your boat in the water results in increased monthly costs. But also consider the cost (and time spent) of driving a trailer every single time you want to use your boat. That is no cheap endeavor either. But docking your boat in a marina allows you immediate access to the boat. And the most logical choice for your trailer? Store it at nearby Party Barn Boat & RV Storage. Party Barn offers safe, secure storage enabling you to quickly pull your boat out of the water when you need to, without requiring you to return home for your trailer. Then, when it is time to pull your boat out for maintenance or at the end of the season, or for an emergency, you didn’t have to be psychic and know beforehand that you should drive to the marina with your trailer. The most important part of deciding to store your trailer is how much time do you want to spend boating and how much time do you want to spend dinking around with your trailer? Have peace of mind with the secure options offered at Party Barn Boat & RV Storage. They also offer a gate and code entry system for extra protection. Whether you need quick access uncovered storage or desire more protection with our covered or enclosed options, check us out! Contact us to find the perfect storage choice for your boat! Charge up the batteries. Batteries will lose charge over time, so it’s best to ensure they are at a high level to prevent them from going bad. You’ll want levels of at least 80% (it’s a good idea to check them with a hydrometer or voltmeter once a month if possible). Also, inspect the electrolyte levels and add distilled water if low. Clean up the batteries and their terminals. 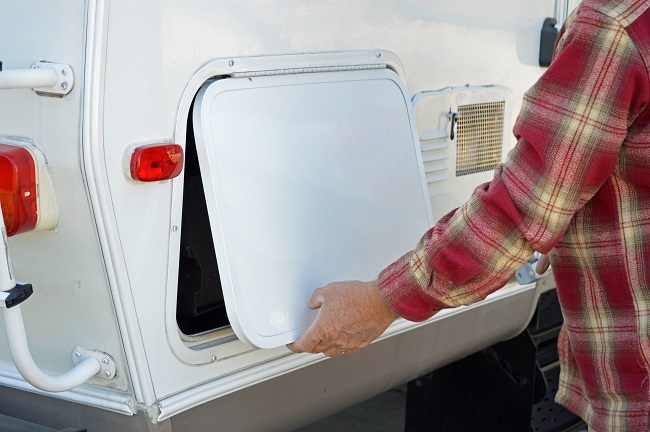 Another battery storage must is to ensure they are completely disconnected from your camper and to clean all terminals — you can use a simple baking soda and water mixture. Drain all pipes and shut off all power. You want to leave your RV in completely dry conditions. Drain water from any water tanks and lines you have, shut off all propane tanks and shut off the main electrical breaker. If you have a refrigerator in your RV, make sure it has been completely defrosted and cleaned out. For best effects, leave its doors open while you’re away to promote air circulation. Choose the right storage space. An RV storage facility like ours ensures an extra level of security and protection that might be unavailable in your driveway or backyard (plus it’ll be out of your way!). You can choose to either park it on our open log, covered parking, or in an enclosed storage space. If you need help with any of these tips, don’t be shy and ask us! We’re more than happy to work with you to ensure your camper is safe and secure before you leave the premises. Contact us to learn more.